1. A contestant may only enter one Lodge Hoop Shoot contest. 2. Contestants must be at least 8 and no older than 13 as of April 1, 2018, in order to participate. 3. Regarding eligibility, the Director is responsible only for ensuring that the contestant competes in the correct age-group. 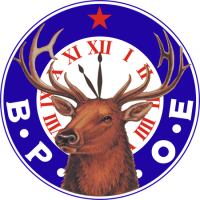 Use the Age-Group calculator on the Hoop Shoot website elks.org/hoopshoot to verify age-group assignments before your contestants compete. Contestants who shoot in the wrong age-group will be disqualified. 4. As the Hoop Shoot tournament progresses, contestants may not switch divisions and may not skip levels of the competition. In order to be eligible to advance to the next level of competition, a contestant must have participated in the previous level. If the contestant will be age 7 on April 1, 2018, he/she is too young to participate. If the contestant will be age 8 or 9 on April 1, 2018, he/she shoots in the 8 to 9 age-group. If the contestant will be age 10 or 11 on April 1, 2018, he/she shoots in the 10 to 11 age-group. If the contestant will be age 12 or 13 on April 1, 2018, he/she shoots in the 12 to 13 age- group. If the contestant will be age 14 on April 1, 2018, he/she is too old to participate. 1. All contestants must be present and ready to participate at their designated shooting time. In no case may a contestant shoot before or after the designated time. Shooting times are set by the Hoop Shoot Director. Contestants who shoot before or after their designated time will be disqualified. No exceptions. 2. Shooting positions will be drawn randomly. The method is left to the discretion of the Director. 3. All contestants should be allowed 10 minutes to warm up. Warm-ups should take place under the supervision of the contest officials. 4. To start the contest, boys 8 to 9 shoot at one end of the gym and girls 8 to 9 shoot at the opposite end of the gym at the same time. Boys and girls in the 8-to-9 year-old age-group shoot 4 feet in front of the regulation foul line. Use blue painter’s tape to mark the line. 5. Each contestant, in order of their draw, may have up to five warm-up shots (if desired) and then, will shoot 10 shots for score. The designated line judges should inform the contestant and the scorers that the contestant is shooting for score. This will be the last verbal contact that the judge will have with the contestant. 6. Upon completing their warm-up shots and 10 shots for score, the contestant will report to the end of the line or sit on a chair until the remaining contestants have completed their warm-ups and 10 shots. After the other contestants have finished shooting, the contestant will shoot 15 shots to complete their 25 shots for score. 6. A free throw is the opportunity given to the contestant to shoot a basket for score from within the free throw circle and behind the free throw line (except for 8-to-9 year-old contestants, see Rule 4). A free throw begins when the ball is given to the contestant at the free throw line. It ends when the shot is successful; or when it is certain that the shot will not be successful; or when the ball becomes dead. 7. The line official should signal made or missed shots to the scorers. 8. The decision of the Head Scorer is final. No spectators, because of their count, can change the Head Scorer’s decision. 9. Contestants cannot bounce the ball more than four times between shots. If the ball is bounced more than four times, a penalty occurs and the shot is void. See Rule 11. 10. Contestants must stay behind the foul line until the ball has touched the hoop, backboard or net. Line violations will be marked the same as indicated in Rule 11. The penalty for a line violation is the loss of a basket, if made. 12. Ties will be broken by taking five additional shots in the same shooting order as the regular contest. Contestants will continue to shoot a series of five shots until the tie is broken and the first-, second- and third-place winners are determined in all six divisions. All tie-breaking shots will be made at the same basket as the previous 25. In no way can a tie be broken in any other manner except by those described in Rule 12. 1. Only contestants, officials and scorers and the official photographer—designated by the Director—are allowed on the floor during the contest. 2. No flash pictures should be taken of a contestant while shooting for score except by the official photographer. 3. No one should be allowed to sit close to the basket or cause any disturbance while the contestant is shooting. If this occurs, the official must pause the contest and clear the area. 4. All persons attending the contest should sit on the side of the gym and maintain complete silence. Phones should be turned to silent or vibrate for the duration of the contest. In no way should spectators cause any commotion that will distract the contestant. 5. All contestants should maintain silence and in no way cause any commotion that will intentionally distract another contestant. Taunting or purposely distracting a shooter, as determined by the contest Director, will result in the disqualification of the offending contestant.